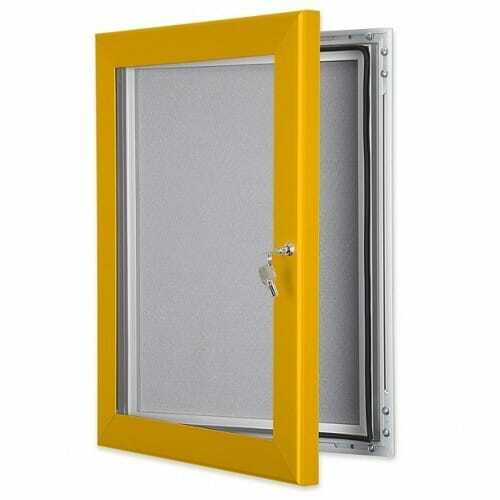 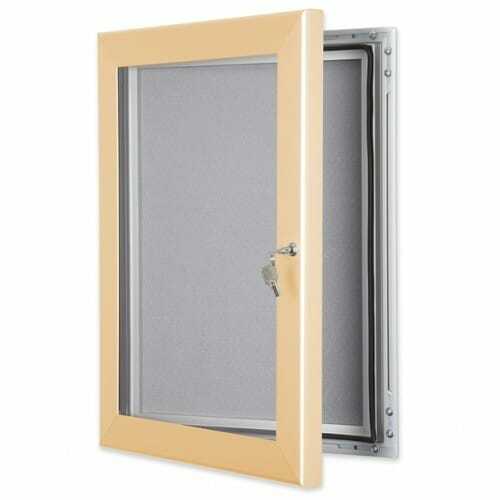 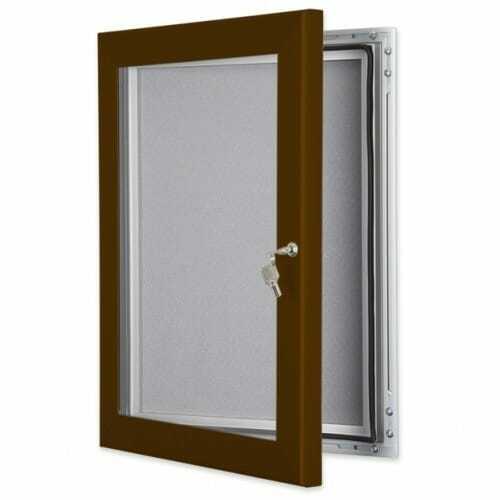 Great value lockable notice boards with felt pin board back panels. Available in 11 stock sizes and 17 stock finishes. 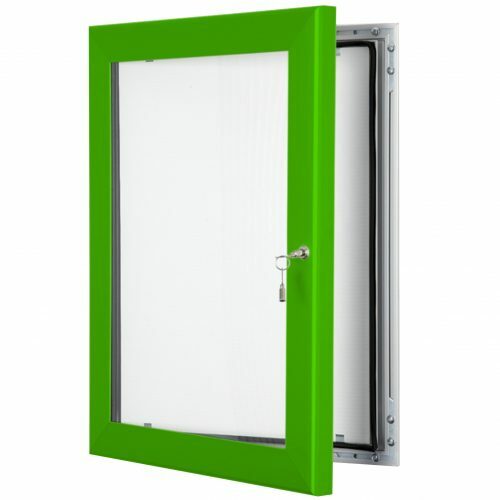 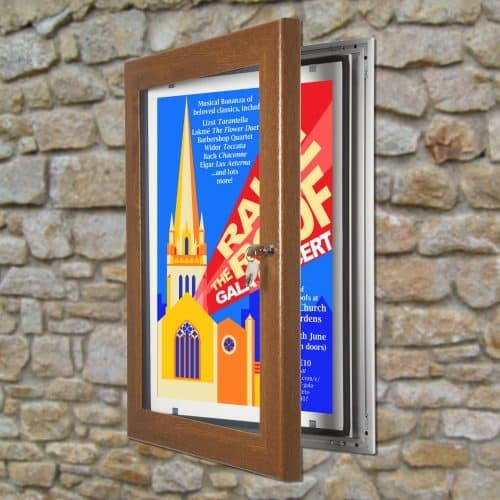 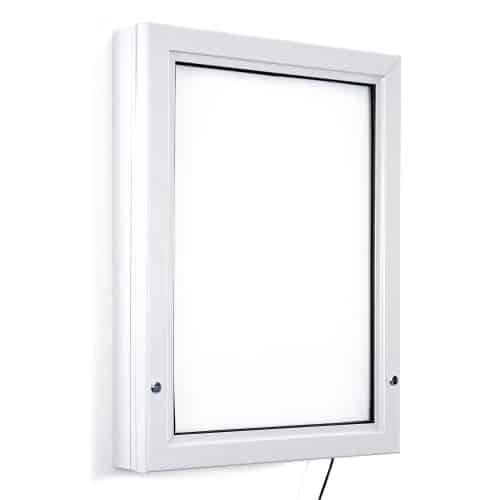 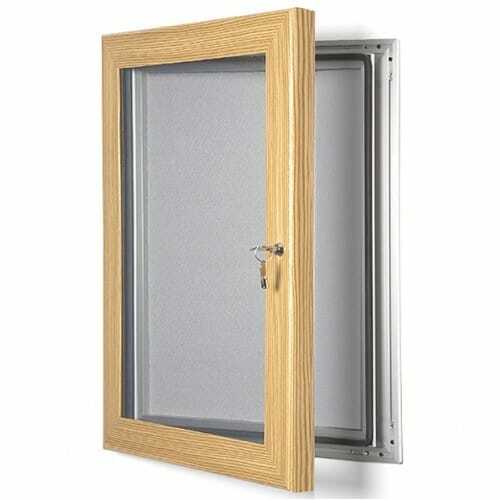 This poster frame can be displayed portrait or landscape, and door stays hold the frame open whilst you change the poster. 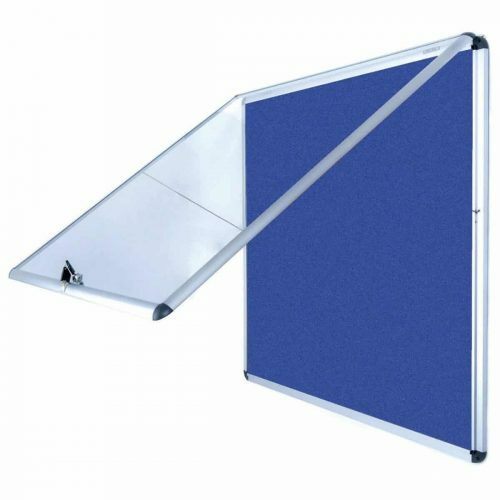 Available with grey, blue, green or red coloured felt back panels. 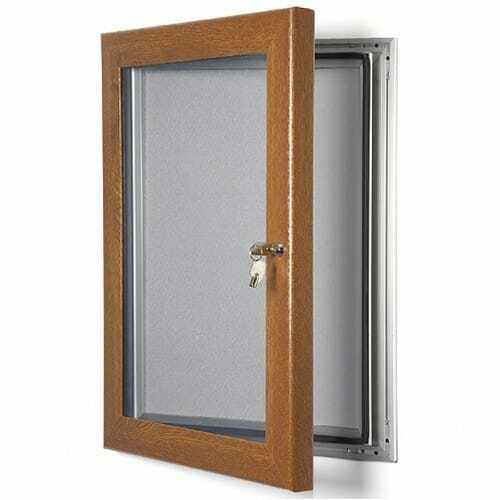 Our Key Lock Pin Boards are lockable and watertight against rainwater making them ideal for outdoor applications. They feature a strong extruded aluminium frame, tough plastic poster cover and a water seal to protect your printed graphics. 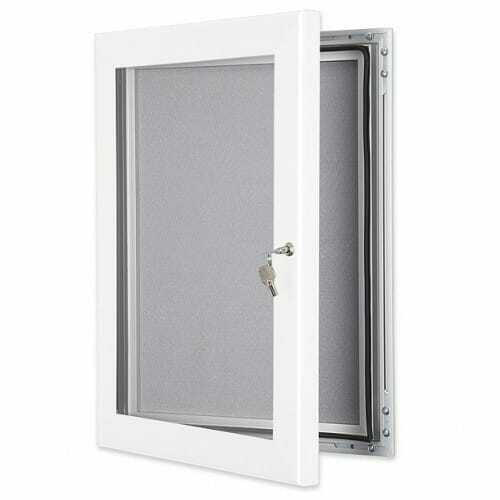 The back panel is a felt pin board which suitable for a range of media types.